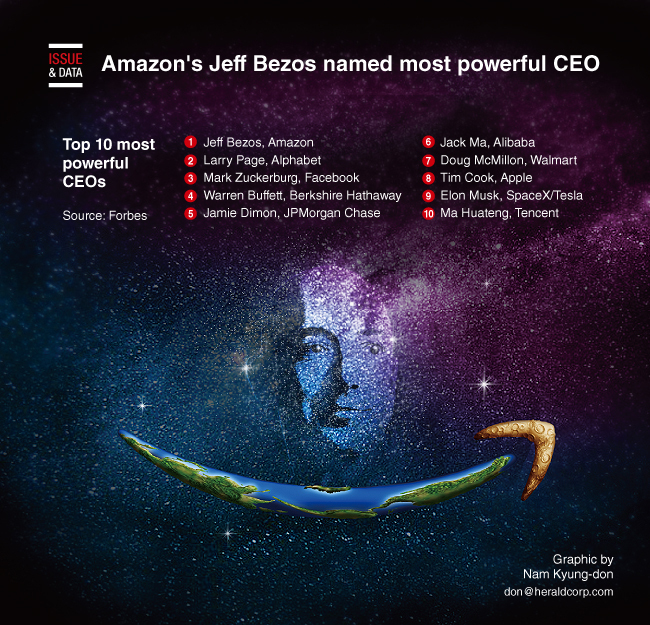 Amazon CEO Jeff Bezos is the most powerful CEO in the world, according to a list by Forbes. Larry Page, CEO of Google's parent company Alphabet, ranked second, followed by Facebook's Mark Zuckerburg and Warren Buffett. Jack Ma, chairman and founder of Chinese e-commerce giant Alibaba, was named the most powerful Asian chief executive this year, taking sixth place.